The period covered by Arts:Search is 1896-1897. Available soon. Annual. Edited by C. Hazlewood Shannon and J.W. Gleeson White. Short-lived fin-de-siècle art and literary journal. 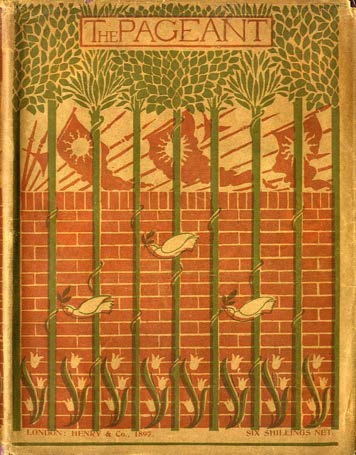 Includes literary contributions by Charles Ricketts (who designed the cover of the journal), Lucien Pissarro, by Austin Dobson, Michael Field, Edmund Gosse, Victor Plarr, John Gray, Max Beerbohm and Selwyn Image. Artists whose work is illustrated include Dante Gabriel Rossetti, Laurence Housman, Charles Conder, Reginald Savage, Walter Crane, Gustave Moreau, Charles H. Shannon, Puvis de Chavannes, Edward Burne Jones, William Strang, Will Rothenstein, Giulio Campagnola, G.F. Watts etc.